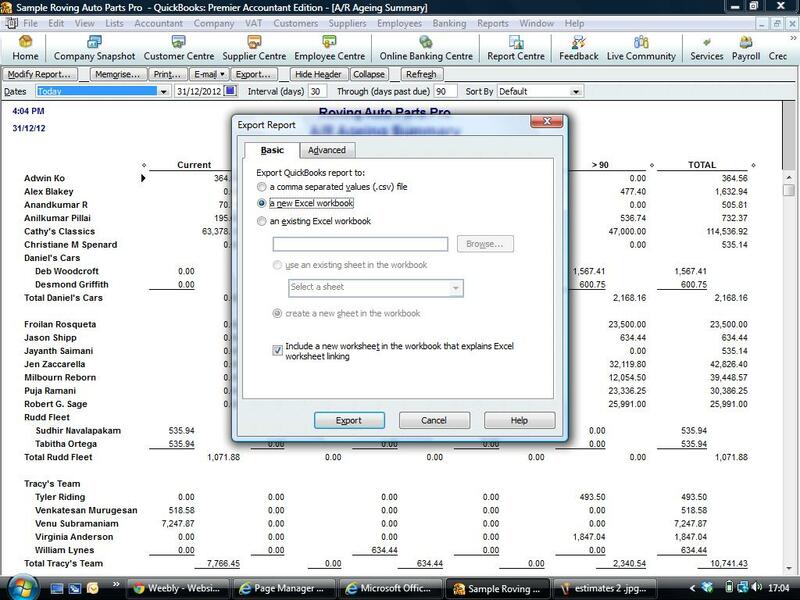 First put the report you wish to transfer to excel on the screen in front of you. Click on the Export Icon > Select a new excel workbook, give it a name and save to a location. 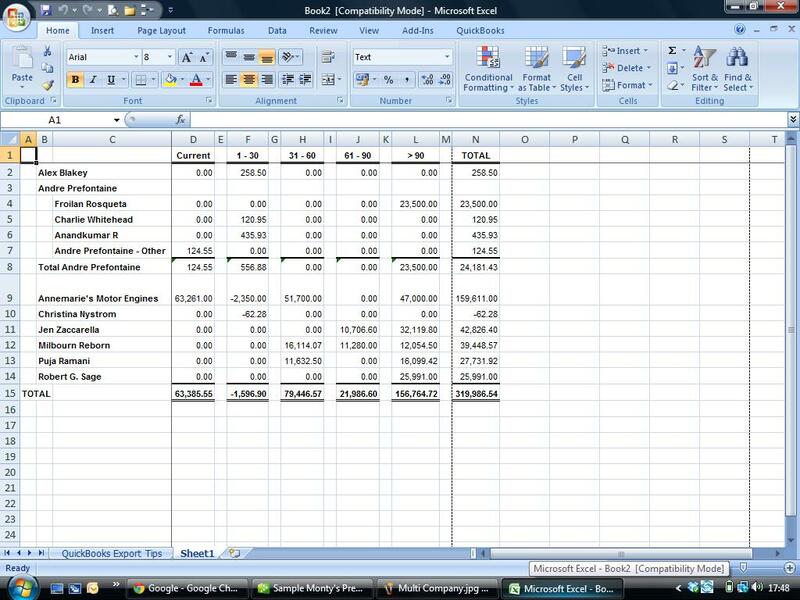 The report now appears in Excel, for more advanced functions contact us for a Quickbooks Training Course. If you would like to find out more about Quickbooks software contact us for prices on our Quickbooks Training Courses one to one personal training to suit your requirements.